Ride To Work Week 2016 started yesterday (Monday June 20) and despite the rain we headed into London to celebrate both the start of Ride To Work Week and the longest day of the year. Starting 40 miles north of the M25 I expected plenty of traffic heading into London, despite our fairly early start of 6am, but I was pleasantly surprised to find the A1 southbound was no busier than normal. The light traffic made for an easy start to the journey, with what little traffic there was flowing at a good pace. The traffic really started to build up around Stevenage, with plenty of commuters joining the A1 at junction 7, resulting in slight tailbacks as they all tried to force their way onto the A1. 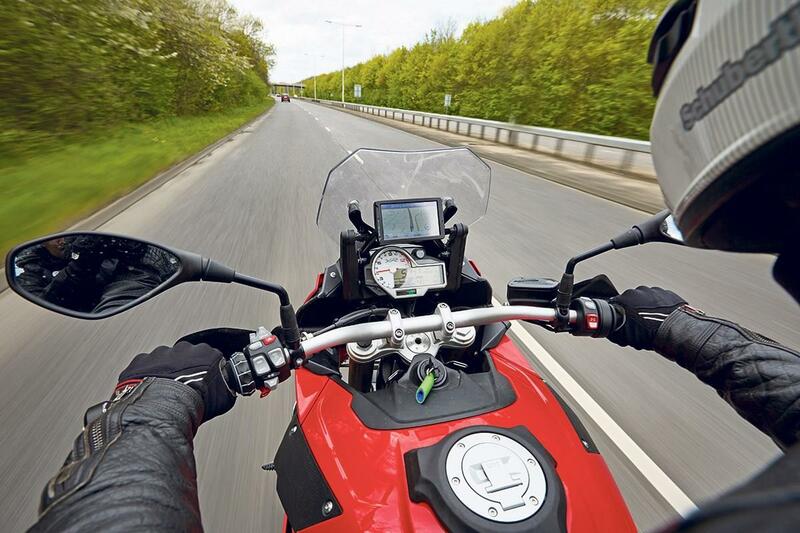 With panniers fitted to the BMW S1000XR, filtering through the traffic was quite slow going, and I had to pull in a few times to let smaller, narrower bikes past. A positive sign on the first day of Ride To Work Week, despite the weather. Despite the extra width from the panniers the XR makes an excellent bike for motorway commuting. The 160bhp inline four engine always has plenty of power no matter the gear and revs, and the quickshifter fitted to our particular bike, which works both up and down the box, essentially turns the BMW into a big, extremely fast scooter. If you're taking part in Ride To Work Week you can share your pictures and stories on the Ride to Work Week Facebook page and on Twitter using the hashtag #commutehappy. Video: Ride to Work Day - More time, more fun!